Please check before you come that the class is on. This website is intended to help people that are interested in expanding their Consciousness by attending Kundalini Yoga Classes in Dublin, Ireland and in receiving Sat Nam Rasayan healing treatments, as taught by Yogi Bhajan. Kundalini is our latent spiritual potential.This latent force can be awakened by Kundalini Yoga as a psychic nerve energy. Its purpose is to raise consciousness, ascending via the chakras to the crown, connecting to the infinite and realising Samadhi (enlightenment). The pursuit and experience of Divine consciousness and transcendence of the ego has always been a universal theme. As we attempt to shift our consciousness into an Aquarian mode of pluralist, inclusive, and universally compassionate heartspace, Kundalini Yoga offers an invaluable and authentic source of transformation for all. James also offers Jyorei Healing, by appointment on a donation basis. All donations for this healing go to the Shumei Organisation. Shumei's mission is to create heaven on earth, through Jyorei healing, natural agriculture and art. There is an explanation of Jyorei Healing on a sub-page of the Sat Nam Rasayan page below. Shumei members will be giving Jyorei healings at the Dublin Mind Body Experience in Dublin, Ireland in the RDS, Hall 4, Friday 17.5.19, 16.00 - 21.00, Sat 18th 10.00 - 20.00 and Sunday 19.5.19, 10.00 - 20.00. I look forward to meeting some of you there. I will also be teaching Kundalini Yoga at the Dublin Mind Body Experience at 17.00 on Friday 17.5.19 and 14.00 on Saturday 18.5.19. All are welcome. My class will be suitable for everybody. 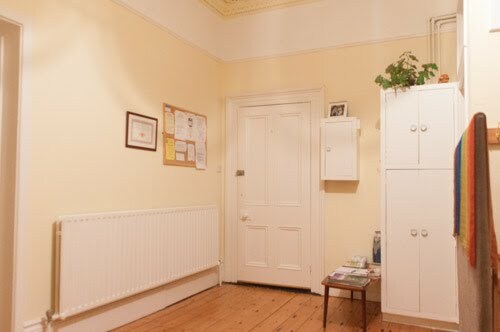 One day per month Jyorei Healing is also be available at Bell 3, 11 Eustace Street, Temple Bar, Dublin 2 . Please contact Tetsuya on +447913765754, email: sugimoto@shumei.eu, website: http://shumei.eu to arrange an appointment. There is a class on Tuesday 23.4.19. The next 8 week course of Kundalini Yoga classes will start on Sunday 19.5.19 and run until Tuesday 9.7.19. The theme of this course will be Improving Our Caliber. These classes will focus on the healing available from balancing our Ten Bodies. Each week we will deal with a particular body. Each week's class will be independent. So you can drop in whenever suits you. While it is preferable to attend the full series of classes, each class is complete in itself. If you can't commit to attending on a particular day of the week then you are welcome to attend either of the other 2 classes taught on Monday and Tuesday evenings at 7.30 pm each week or Sunday at 11.00 am. You are also welcome to drop in whenever suits you, subject to space being available. Please book your place early because space is limited. All these classes will help you to be more conscious. When we increase our awareness we can become clearer about who we truly are. "When you understand who and what you are, your radiance projects into the universal radiance and everything around you becomes creative and full of opportunity" - Yogi Bhajan. Radiance is our projection. Radiance is our shine - our inner light. Its what attracts opportunity and prosperity into our lives. Its what protects us from fear and hatred. These times demand a strong nervous system, a clear arcline and a radiant aura. If our radiance is weak we become susceptible to paranoia and delusions and unable to serve others or our destiny. While it is preferable to attend a full series of classes, one can attend individual classes if you want. True Joy, Happiness and Beauty can be achieved when we take the time to be ourselves, to discover who we are. I would be grateful if you would let your friends know about these classes. There are three Kundalini Yoga classes, as taught by Yogi Bhajan, per week at Surya Yoga, on Sundays at 11.00 am, Mondays and Tuesdays at 7.30 pm each week. Similar classes are taught three times per week. So if you can't attend on your chosen day then you are allowed to attend on another day that suits you. This is available by appointment at a mutually suitable time. This can help people explore their range of movement and capacity to attend public classes or I can assist with modifications for postures to suit various limitations. Whatever the requirement I am willing to deal with it on a 1:1 basis if that is what you would like. Sacred Kundalini Yoga protocols for helping with nearly every physical, mental or spiritual health issue are offered. A lot of Mental Health issues such as Anxiety Disorders, Depressive Disorders, Eating Disorders, Sleep Disorders etc can be helped with specific Kundalini meditations or a specific protocol for each disorder. These techniques are based on Yogi Bhajan's teachings of Kundalini Yoga. The protocols for various mental health conditions, that I teach, are based on David Shannahoff's publications which in turn are derived from the teachings of Yogi Bhajan. David S. Shannahoff-Khalsa is a researcher in mind-body dynamics. He has published widely in scientific journals and regularly presents full day courses at the American Psychiatric Association and other national and international conferences. Shannahoff-Khalsa has also published three books outlining his years of experience using Kundalini Yoga meditation as taught by Yogi Bhajan to understand and treat psychiatric disorders. If you would welcome help with any of these issues then I invite you to try this cutting edge approach. This is the medicine for today. I offer to design a home practice for you, based on your numerology, that will be optimal for you and unique to you. Throughout the ages the significance of birth dates has been recognised by diverse cultures. Numerology is a Spiritual Technology that Yogi Bhajan taught. We can prepare for the challenges and opportunities offered to us in this lifetime by following the guidance that can be gleaned from our numerology that is based on our date of birth. As part of this process you will receive your five Yogic Numbers and an explanation of each number. These numbers are your Soul, Karma, Gift, Destiny and Path numbers. I will then use these numbers to discover which energy body you most need to work on at this time. You will be guided in your selection of the priority kriya and meditation that resonates most with you and that best addresses the needs of your energy body. As part of this service, you will receive two 1:1, one hour sessions, in which you will be taught the kriya and meditation best suited for you. Any questions, you may have, relating to this process will be answered to the best of my ability. To avail of this service please email me your date of birth and contact details. Upon receipt of same, I will get back to you as soon as I can. The objective of this process is to point to a particularly beneficial physical and meditative practice at this point in your life. 5. Sat Nam Rasayan Healing (both in person and by distance) and Jyorei Healing (in person) sessions are also available by appointment. Please email namsangats@gmail.com or text / phone 086-8193075 to arrange an appointment or to seek further information. One example is a course called Riding the Breath - The Journey of a Lifetime. This is part of a series of Transformational Courses that I offer. In these classes we focus on planting seeds of change for the Aquarian Age and working towards Mastering the Self. There is one question we may all ask ourselves at some point in our lives. And that question is the most important question we will ever ask because our answer will determine the quality and direction of our life. How our life pans out is largely determined by our answer to this one simple question: Who am I? If our answer is "I don't know" then we don't have a clear sense of our identity and our mind has nothing to orient itself to. This position ultimately creates insecurity and turmoil. If we have no identity of our own, then we live in the realm of fantasy and magical thinking and can only process our thought waves through our subconscious doubts, fears, hopes and dreams. If our answer is "I am me" then we have identified with our ego. This path eventually leads to us becoming a slave to the ego's futile attempts to control everything and its doomed attempts to hold fast to things, which, by their nature, are transitory. If our answer is "I am Thine" then we have identified our Self, our reality, as our True Identity, the soul that comes from God and goes back to God. If this is our identity then we align our mind with our Destiny. This path will bring us a deep sense of fulfilment and gratitude. As you practice Kundalini Yoga you will find that your soul becomes more dominant than your ego. Destiny is your Identity in alignment with Divinity; it is an upward spiral, which brings a deep sense of fulfilment , happiness and peace, also known as Cherdi Kala. Come and explore your answer to this vital question with the aid of the various Meditations and Kriyas that Yogi Bhajan has given us. You will learn and practice Kriyas and Meditations on this course that will help you. Your investment is only €12.50 per 1.5 hour class if you take all 8 classes i.e. €100. A full schedule of investments for varying numbers of classes is shown near the bottom of this section.The possible rewards from taking this course are potentially life changing. You are invited to attend and experience, for yourself, how Kundalini Yoga will elevate and transform you. All are welcome. Please book your place early as spaces are limited to 7 participants. See www.yogibhajan.com for information about Yogi Bhajan. Information about Kundalini Yoga can be found in the About Kundalini Yoga page on this site and at www.kundaliniyoga.com . The Kundalini Yoga classes offered at Surya Yoga, Meditation and Healing Center, 4 Maxwell Road, Rathgar, Dublin 6, Ireland, are tailored to the experience and mixed ability of the students attending. So Beginners are most welcome to come along. The first thing you will learn is how to "Tune in to the God within You" and you will be appropriately guided through a class including how to Tune Out at the end of a class or self practice. In this way you will have an authentic experience of Kundalini Yoga and you will be better equipped to decide whether you want to continue practicing Kundalini Yoga. If you like the experience you get from a class and you benefit from the effects your practice has on you, then we invite you to help make the teachings of Yogi Bhajan's more widely available by telling your friends etc. Flyers are available at the studio to help you with this. You can take these flyers to inform your family, friends, workmates and neighbours about these classes and the healing modalities available. 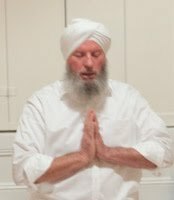 Nam Sangat Singh aka James Madden, teaches Kundalini Yoga and offers Sat Nam Rasayan Healing sessions, as taught by Yogi Bhajan, at Surya Yoga Studio. In addition James offers Jyorei Healing sessions. Nam Sangat Singh (NSS) is the founder and owner of this yoga, meditation and healing center. Nam Sangat Singh has practiced various forms of yoga since 1995. He started practicing Kundalini Yoga in 2005 and did his Level 1, Teacher Training with International School of Kundalini Yoga - see http://www.i-sky.net, in 2007/08. James was awarded a Level One Instructor, Certificate of Training by The Kundalini Research Institute. He has been teaching Kundalini Yoga regularly since 2009. He is continuing to study for Level 2 Certification as a Kundalini Yoga teacher. Nam Sangat Singh is also a Level 1, Certified Sat Nam Rasayan Healer and is presently studying for Level 2 Certification. Nam Sangat Singh teaches Kundalini Yoga as taught by Yogi Bhajan. Kundalini Yoga classes incorporate the use of mantra (sound), asana (yoga postures), pranayama (breathing), mudras (hand positions), bandhas (energy locks), relaxation and meditation to achieve a wonderful state of wellbeing. Kundalini Yoga will help to maintain the strength and flexibility of one's body and strengthen one's nervous and glandular systems. Kundalini Yoga is a process that takes us beyond the mind to where we can follow our hearts. James started attending weekly yoga classes in 1995. "I arrived to my first yoga class tired and tense and emerged from the class relaxed and re-energised. I was hooked straight away." For the first few years James practiced Hatha Yoga. Over the period 1997 to 2005, James sampled other forms of yoga including Iyengar, Satyananda, Ashtanga, Sivananda and Bikram. In addition to going to regular yoga classes, James attended many residential workshops, yoga retreats and occasionally went on yoga holidays. During this time, James established his own daily yoga and meditation practice. Then in early 2005 James attended a week long Kundalini Yoga Retreat, run by Guru Dharam Kaur in the Burren Yoga and Meditation Centre in Co. Clare. "I felt that, in Kundalini Yoga, I had found a style of yoga that had a huge affect on me. I was blown away by the immediate and elevating effect Kundalini Yoga, as taught by Yogi Bhajan had on me." James then started practicing Kundalini Yoga and Meditation daily and developing a yogic lifestyle for himself. Nam Sangat regularly attended weekly Kundalini Yoga classes taught by Marion Gilsenan. Nam Sangat wanted to share the benefits of this powerful technology with others. So he trained as a Kundalini Yoga Instructor with I-SKY (International School of Kundalini Yoga), see http://www.i-sky.net/. The Kundalini Research Institute has certified James Madden as a Kundalini Yoga Instructor. James has been teaching Kundalini Yoga since late 2009. Kundalini Yoga is James's passion and he derives great satisfaction and fulfilment from sharing his knowledge and experience of yoga with others. Nam Sangat Singh is also a Certified Sat Nam Rasayan Healer to Level 1. He is presently studying Level 2. Sat Nam Rasayan is the healing arm of Kundalini Yoga, see www.satnamrasayan.ie for more details. As part of Nam Sangat's commitment to ongoing professional development Nam Sangat Singh has attended the European Yoga festival in France most years since 2007. There he attends workshops with the world's leading Kundalini Yoga Teachers and has served as a Missel Leader for a group of about 60 people. Since 2010 Nam Sangat Singh has attended a 6 day retreat in Perugia, Italy that is lead by Guru Dev Singh who is the Master of Sat Nam Rasayan. There are kundalini yoga sets of exercises designed to work on many physical, psychological and emotional issues. So if there are particular issues that you wish to address then Nam Sangat Singh invites you to discuss these issues with him. He can then try to integrate appropriate kriyas and /or suitable meditations into his classes. Alternatively he may offer you Sat Nam Rasayan Healing and/or a Jyorei Healing. Following attendance at classes, whatever effort you make in the form of daily practice, you will receive back in the form of improved health and well-being plus expansion in consciousness. Practicing Kundalini Yoga can facilitate positive life changes as we learn to take responsibility for our own health and well-being. A series of Kundalini Yoga classes including kriyas and relevant meditations are ongoing in Surya Yoga Studio, 4 Maxwell Road, Rathgar, Dublin 6. An example of a typical class would include Tuning In (chanting), Pranayama (breathing exercises) then optional Warm Ups (physical postures) followed by a Kriya (a complete action with a predetermined outcome, comprising a sequence of postures). An example of one of the thousands of kriyas, that Yogi Bhajan taught,is a kriya called "Awaken the Diaphragm". This kriya is designed to stimulate the diaphragm and the navel point. It can indicate when the organs below the diaphragm are not being properly served. Such a kriya is followed by a long deep relaxation (lying on the floor covered with a blanket) to allow integration of everything done in class to that point. This relaxation is normally followed by Meditation. One such meditation is called "Meditation to Develop the Frontal Lobe and Hypothalamus". When Yogi Bhajan first taught this meditation on 8.8.2000, he said "We have two things in our body; frontal lobe and upper palate. We need to practice stimulation and control of these two things in the body which are underdeveloped. And you can only develop them by imagination and by certain permutations and combinations of words with the tongue, so you can get the result. We will chant a particular mantra using rhythm and words to accurately stimulate meridian points in the roof of the mouth. A different kriya and meditation will be taught each week. The meditation is followed by a Blessing, called the Sunshine Song. And finally the energy of that class is sealed to end the class and allow the participants to reenter their normal reality. There are normally 4 classes per week. We are flexible about which class you attend subject to there being space available. There always seems to be space available - Wahe Guru. Classes are normally taught in 8 week courses. You are welcome to buy as many classes as suits you in line with the schedule of investments set out in the section headed Investment below. You can drop in, subject to space being available, to experience Kundalini Yoga and to see if it suits you. The classes are small allowing for individual attention. But because space is limited it is advisable to book your place as early as possible. The same class is taught 3 days per week. So if you can't attend on the day you have chosen, you have the opportunity to attend on either of the other 2 days of the week, subject to there being space available for you. The classes are held on Monday and Tuesday evenings from 7.30 pm to 9.00 pm plus Sunday mornings from 11.00 am to 12.30 pm, (but please check the Sunday class is on before coming). I normally teach a course for 8 weeks at a time. Each course usually follows a selected theme. Classes are 90 minutes long and, depending on how many classes you choose to attend during a course, the investment ranges from only €12.50 per class when you buy 8 or more classes to €15 for a single drop in class. The range of prices for varying number of classes is as follows: 8 classes €100, 7 Classes €90, 6 Classes €80, 5 Classes €70, 4 Classes €55, 3 Classes €45, 2 Classes €33, Drop in €17. Credit for classes not taken during a course cannot be carried forward to the next course. There is a 20% discount, for Students and the Unwaged, on the drop in rate. You are welcome to drop in, whenever suits you. You will be able to join a class as long as space is available. Historically, there has always been space available. You can secure your place by contacting Nam Sangat Singh (NSS) aka James Madden on 00353 86 8193075 or by emailing NSS on namsangats@gmail.com. When coming to class please bring a bottle of water. If you can, please wear bright clothing, preferably white and made of natural fibre that allows you to move freely. You can bring your own yoga mat or, if you don't have one or don't wish to do this, you can get one in the studio for €1. Blankets and cushions are provided in the studio, free of charge, but if you prefer to bring your own blanket you are welcome to do so.